We’ve published our latest Bulletin, which is now being distributed to homes around the Cricket Green area by our volunteers. 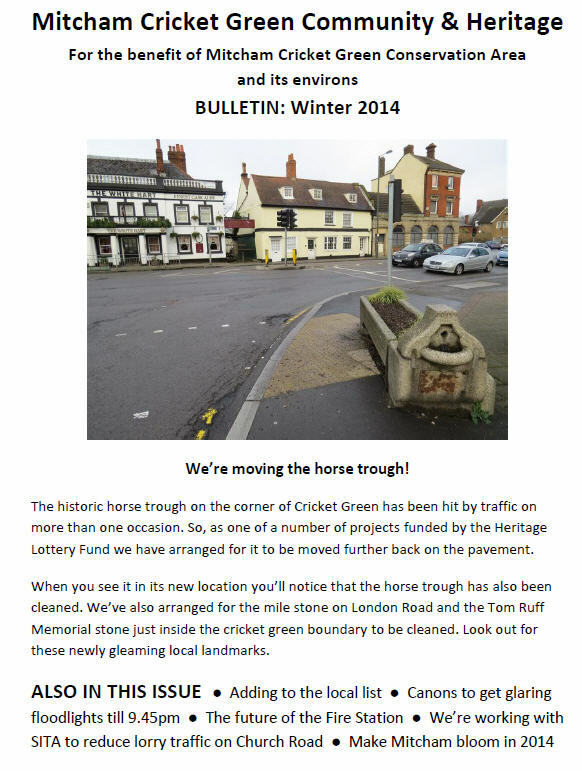 In this issue you can learn more about our exciting Heritage Lottery Funded project to clean the horse trough at Cricket Green and move it back from the kerb into a safer position. The work to remove the horse trough will take place over the coming week, so watch out for it happening as you pass by. 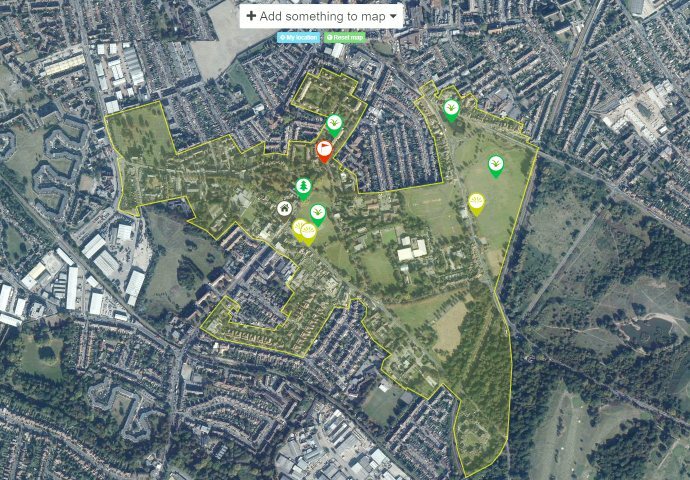 This entry was posted in Cricket Green Conservation Area and tagged Bulletin, Canons, Cricket Green, floodlights, horse trough, MUGA on January 25, 2014 by mitchamcricketgreen.